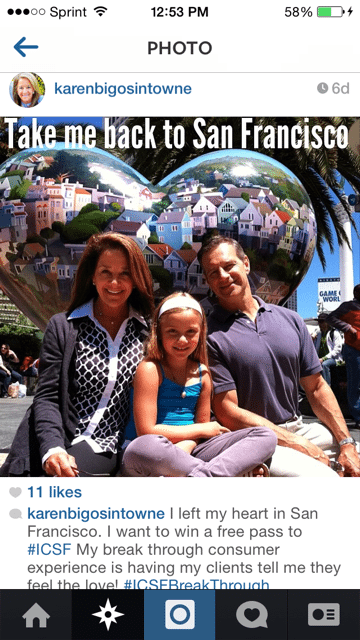 Win Free Passes to Real Estate Connect San Francisco! Update! We are thrilled to announce our winners of the Social Media Sweepstakes #ICSFBreakthrough! Congrats to all of you for entering our contest. Karen Bigos of Towne Realty Group, N.J. is our Instagram winner! Bruce Slaton of Realty World, Elk Grove, CA is our Facebook winner! Sam Basel of Alpine Legacy Real Estate in Estes Park, Colorado is our Twitter winner! What is Real Estate Connect? With more than 2,000 industry leaders, 100-plus speakers, and the best and brightest in real estate technology, Real Estate Connect is the conference that puts ideas, technologies and partnerships to work for your bottom line. From inspiring keynotes, lively industry panels, workshops, tracks for agents and brokers to the newest startups in technology, you will be connected to the people who will take your business to the next level. Catch the intimate chats in the hallways, the fun dinners and parties, and network with the best for three days in the amazing city of San Francisco. It’s an investment you won’t want to miss. 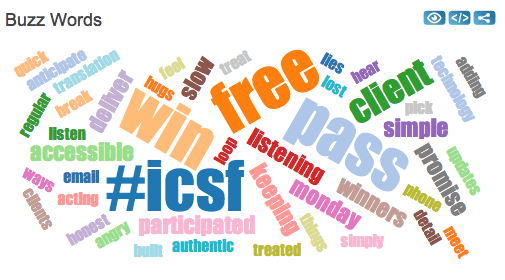 How Can You Win Passes to #ICSF? The 2014 theme of Real Estate Connect San Francisco is “Breakthrough Consumer Experiences.” As an industry we will come together to define new ways and new ideas to creating the best in consumer experiences within real estate that we can imagine. We have 3 Free Passes, valued at $1,199 each, plus the opportunity for promotion to your industry peers on Inman News! The sweepstakes runs from March 23-April 4. Winners will be announced on April 7, on this post and on our social media channels. 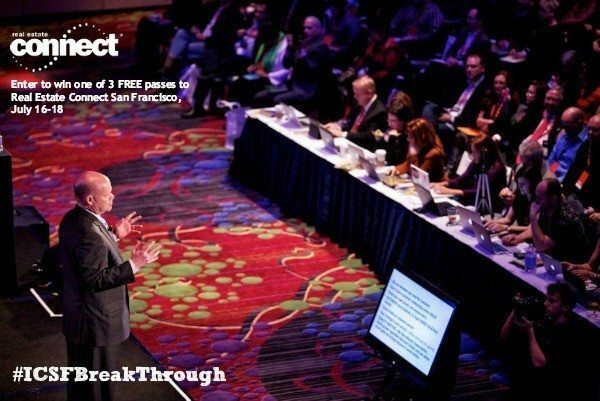 You must use the hashtag #ICSFBreakthrough to be entered. You may tweet up to two times per day. Each tweet is an entry. If you already bought your ticket, no need to worry, we can transfer it to a friend or another Connect. Good luck! Want a sneak peek at what Connect is all about?